Veronica, commonly known as Speedwell or bird’s-eye, is recommended as a reliable garden plant, prized by gardeners, nice-looking and attracting attention for their elegancy. 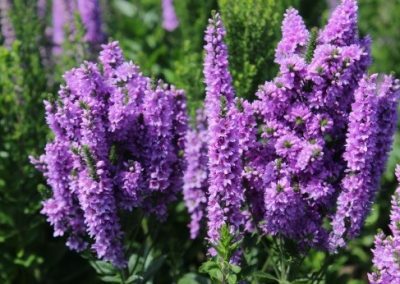 These long-blooming, easy care perennials show their spiky flowers throughout Spring and Summer and even early Autumn. 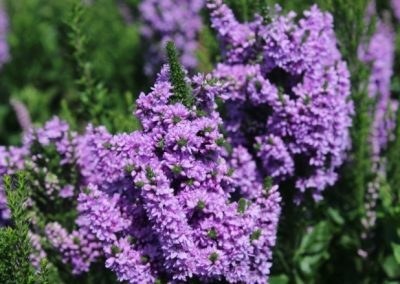 Their popularity increased during recent years, due to the introduction of many hybrid cultivars with new colours and improved plant forms. Whether planted at the front, middle or back of the border, their slender wands enliven the garden with colour. Flowers at the base of the inflorescence bloom first, with subsequent buds opening ste adily in an upward fashion. 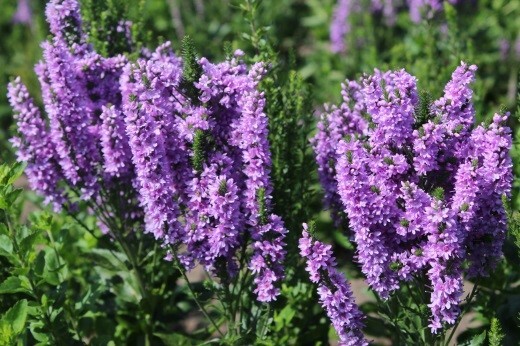 Brand new is the Veronica spicata x longifolia hybrid ABUNDANCE. This, bomb-type, outstanding, very floriferous variety is extremely showy. The plant does not start sprawling open mid- season, like the old varieties, leaving a brown, empty centre rimmed with a few flowers. 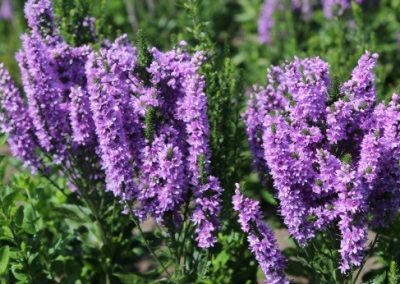 On the contrary, Veronica spicata x longifolia hybrid ABUNDANCE does none of that. 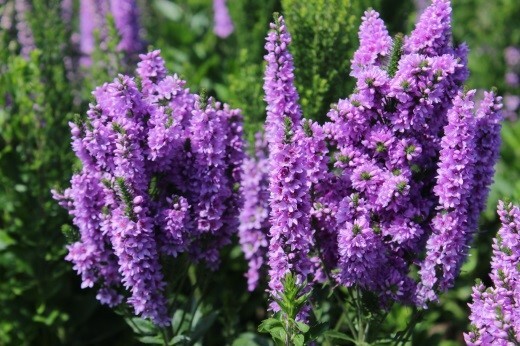 It is sturdy and upright all summer, even into fall, providing a great exclamation point for the perennial border. The foliage goes all the way to the ground. 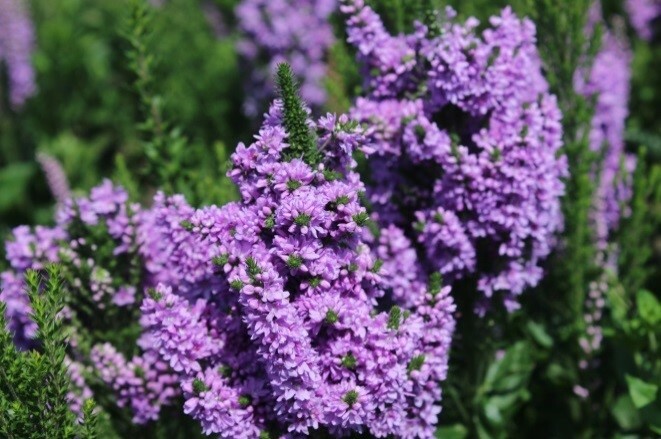 It is a durable plant of medium height, with blooms which colour the garden from late Spring into early Autumn. The colour is something special, pinkish lilac with numerous individual flower buds . It colours from the bottom to the top even when the flowers are not open still. The density of the individual flower buds on the stem is remarkable and causes a special colour effect. 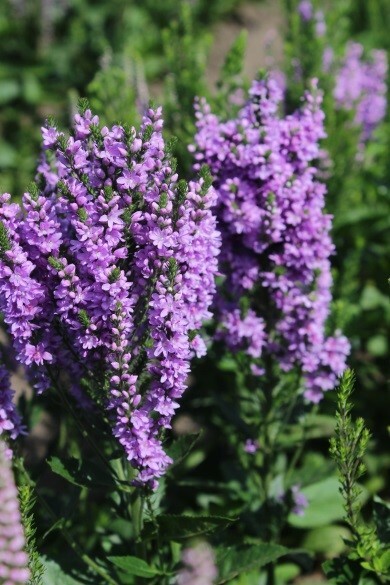 This top-rated, bomb-type speedwell exhibit strong habits and excellent flower production throughout the season. The floriferous nature of the Veronica spicata x longifolia ABUNDANCE is evident. It attracts butterflies as well. When deadheading(removing) the spent flowers , new flowers occur constantly.